Woolworths has successfully completed what the supermarket group’s chief executive, Brad Banducci, believes is probably the biggest individual payroll implementation ever in Australia. Banducci today contrasted the rollout of the group’s HCM system to the troubled implementation of its SAP ERP system implementation that caused high-profile supply disruptions at Big W stores and affected Woolworths’ ability to issue daily profit reports to individual stores. During a full year results briefing Banducci said that “unashamedly” for Woolworths FY16 “was not a year focussed on cost reduction or in fact materially improving underlying process; it was about getting process stability given our new IT systems”. The CEO said that the implementation of the SAP merchandising platform was responsible for significant challenges Woolworths had faced in the Christmas period. “It was one of the major reasons why we had availability issues in store,” he said. Banducci said that one of his KPIs had been ensuring that individual stores now get daily sales figures, gross profit, and stock loss by department. “We always used to have it – we lost it during the SAP implementation and it’s unbelievably important to me, so that our stores can really own accountability for their performance,” he said. He said that although there was some more work to do on the ERP system it is “materially implemented”. 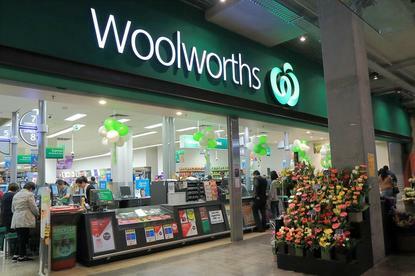 Woolworths said that there had been no unplanned outages related to the ERP system for the last three months. The retailer said there had been a reduction in open store hardware failures during the year. The company has commenced an IT foundation program to remedy underinvestment in IT infrastructure, particularly in self-checkout terminals and point-of-sale terminals. In FY17 there will be a focus on leveraging Woolworths’ new IT systems to drive productivity. Woolworths announced a net loss after tax of $1.23 billion, announcing earlier this week it would exit the home hardware business.